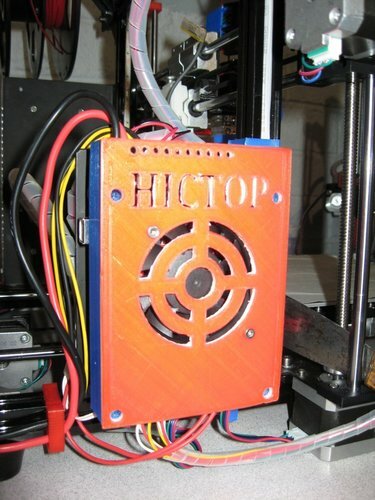 Hictop controller cover EFI shield, Was getting electrical interference from the controller card onto the sensors. 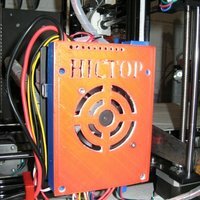 This was causing erratic print moves, sensors to fail including the filament run-out sensor and the SD card to display garbage in the menu. 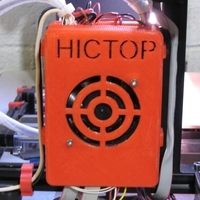 Print using a Conductive PLA. 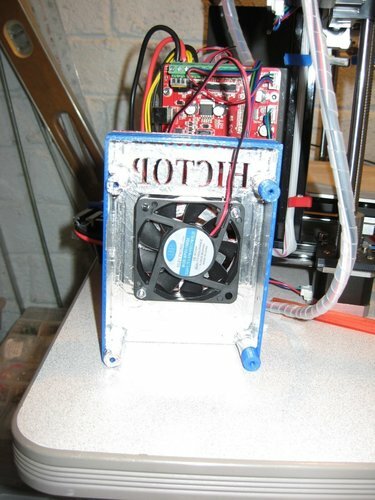 OR print with non-Conductive PLA and cover the inside perimeter with single layer of Aluminum Duct tape to form the EFI Shield, make sure you cover at least one mounting screw stand off to allow a grounded shield.